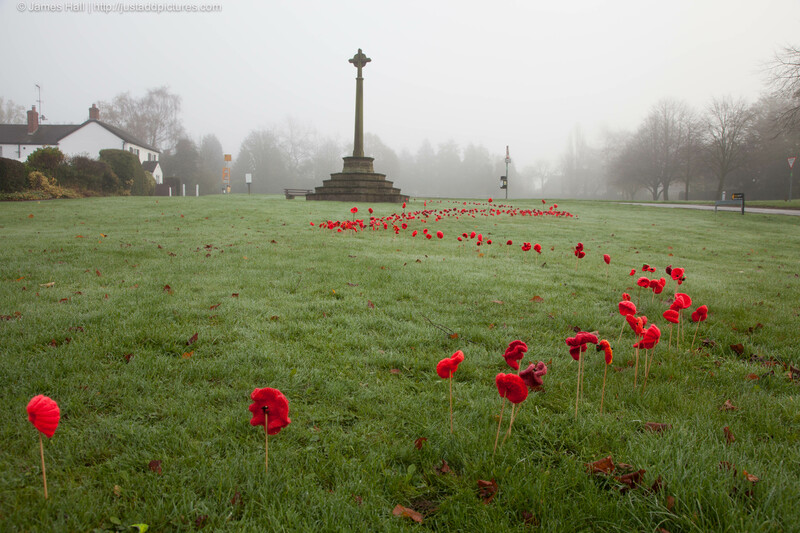 Our village, Barlaston in Staffordshire, has a little, secret (at least to me) army of guerrilla knitters whose works suddenly appear around the village to mark particular occasions. 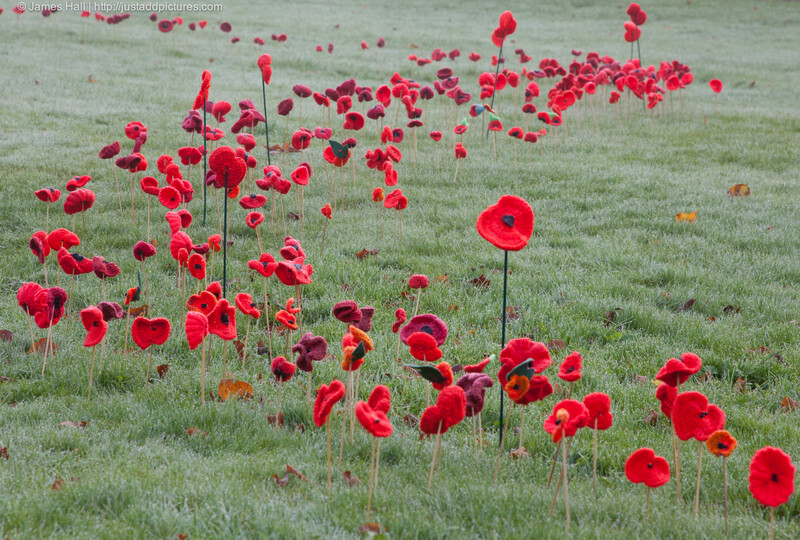 When I went out first thing this morning, I found that they had truly excelled themselves with this moving tribute of woven poppies to mark Remembrance Day. The poppies form a small trickle of blood across the green from the War Memorial. It is very beautiful, particularly this morning when the poppies stood out against heavy dew and a misty morning. It may not be the Tower of London, but it is equally effective in its own more modest way. I had to rush back for my camera to capture the moment before footprints from admirers started to disturb the dew. 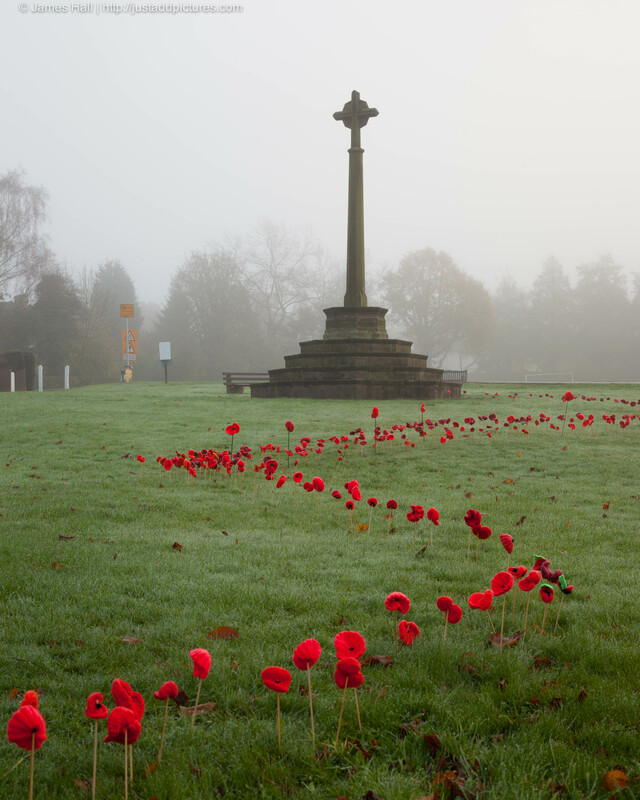 Posted in England, Landscape, Photography and tagged Barlaston, photography, photos, Remembrance, Remembrance Day. Bookmark the permalink. Beautiful. Thanks for rushing back for your camera! Its wonderful – from any conceivable perspective.. thank you for sharing.